Stanczyk is sad that WDYTYA (“Who Do You Think You Are?“) has been canceled by NBC — There will NOT be a 4th season. This was reported by Investors Business Daily at 9:00am today by Patrick Seitz (why do this when I am en route to an archive?). The impact upon Ancestry.com was immediate. Today its stock (ACOM) is down 13.15% at the time of this article. From a business standpoint, I think this is an over reaction. First off this, is a year of the 1940 census and that has been as HUGE up to all census related sites (see this jester’s Genealogy Website Rankings page). Also Ancestry has launched its DNA initiative (AncestryDNA). Now this has the costs baked in already and whatever revenue stream this produces will accrue to the bottom line. Stanczyk has already fielded questions about this product, so there does exist some buzz for the product and it was announced/promoted at this year’s RootsTech Conference. Add in the PBS’s own series “Finding Your Roots” and there does seem to be an “rising tide lifts all boats” effect in progress. So I have to ask, “Is NBC short sighted in this action or at least are they acting out of synch with other media/events that are happening?”. Bravo – Who doesn’t like The Actor Studio? Similar audience since the celebrity genealogy is a kind of deep dive into a celeb’s background. OWN – Oprah seems like the kind of family oriented billionaire who has the wherewithal, clout, and morals to keep this content going … strong. BYU TV – This would be my last choice given its limited availability. But BYU and LDS audience would be interested in this PROVO, UT send-up and the rest of us could follow along. As this season draws to a close, I wanted to say, “Thanks” to WDYTYA and Finding Your Roots for an excellent season. As always, I would love to hear your thoughts on this matter. Email me! Tags: ACOM, Ancestry.com, Finding Your Roots, IBD, NBC, PBS, WDYTYA, Who Do You Think You Are? Martha Stewart … Are We Related ? So when I noticed that 5/6/2012 episode on Finding Your Roots, was going to have a segment on Martha Stewart, I watched again. It was interesting that Martha’s roots (and DNA) include Tartars and again they mentioned Kostyra and a few village names, but not Pacanow. If you have any of the following surnames in your family tree, you could be a cousin of Ms. Stewart’s: Adamczyk, Albiniak, Baran, Ciman, Flis, Grab, Grosiewicz, Grysztar Kak, Kielar, Kisielinska, Kiszka, Kostyra, Krol, Krukar, Krulicka, Kulpa, Lach, Lazinska, Litwin, Macuga, Misiak, Okon, Oleszko, Orzeł, Penar, Rajchel, Ruszkowski, Rygiel, Rzad, Siwy, Skubik, Strzalinska, Tomczyk, Wasi, Wojtan, Wolyniec and Zukowsa. Now if you notice, I BOLDED, some of the above family names (many of the others I am not certain of) in the list of possible cousins. I cannot speak to the commonness of those names, but each one is from my paternal grandparent’s (Eliasz/Leszczynski) parishes and some of those are actually in my family tree. By all means go read Megan’s article. It is another interesting piece on Martha Stewart (aka Jadwiga Kostyra). So Martha perhaps we are cousins (albeit very distant ones). Any Eliasz/Elijasz, Leszczynski, Ozarow, Major, Wlecial, Kedzierski in your tree (Martha)? How about you readers? Any of you have those names in your tree? Do you research in Biechow or Pacanow (villages in the old Kielce wojewodztwo)? Email me! Last night’s Who Do You Think Are? show was another interesting episode. Stanczyk got an idea whilst watching the show. Why not, play along on Ancestry.com? Now this occurred to me because I am helping friends who are Lithuanian and I noticed that tie-in right away. But what really made it personal and very interesting for me was to find Jason’s 2nd great-grandfather, Joseph had immigrated/worked in Mahanoy City, PA (a mining community). As it turns out, this is a big Polish/Lithuanian/Italian community due to the miner immigrants around the beginning of the twentytieth century. It is also a city where the Eliasz-Solomon family has roots. So I wanted to right away get on Ancestry.com and see if there were any Sudeikis ties (or near ties) to our roots. I really enjoyed the mining research — that is an area of research I was considering since one ancestor died much too young. I too was thinking a mining accident my explain the death. Why was Mary sent back to get Stanley (since Mary was only 14, not the 16 as shown on the ship manifest; Compare 1900 Census with ship manifest.). I felt the young age of the girl getting her even younger brother, who now had even younger siblings in Pennsylvania would have been an interesting topic for Jason to react to. Also, why was poor Stanley Sr. the last Sudeikis left over in Lithuania? Notice that his older (non-American born siblings) all came over in 1898 leaving only Stanley to come over two years later. Again, this would have been a dramatic point to explore with Jason. Perhaps that abandonment in Lithuania was why Stanley Sr. felt he could so easily abandon Jason’s family in Chicago for the CT family. Also I have a question for the show and Lisa Kudrow. Did your researchers learn where in Lithuania, Jason’s ancestors came from? I think the ship manifest (yes I am obsessed with the ship manifest) had a misspelled ancestral village. My guess would be Wizajny — which is actually in modern Poland very near the Lithuanian border in what would have been the Suwalki wojewodztwo (and afterwards the Russian Empire’s Suwalki gubernia). I have done research in that area before that is why my mind immediately went to that village when I saw the village of the ship manifest. I think the show could exploit Lisa and/or the on-air genealogists and possibly the stars in responding to the questions. Is there a place for fans to write-in their suggestions? Why not a year-end show at the end of summer/beginning of fall to let people get their questions answered and perhaps do some “behind the scenes” info or show clips that were cut due to time constraints. Make this show be a full hour (instead of 30 minutes). Come on Genealogy Buffs — write @LisaKudrow and make the request! 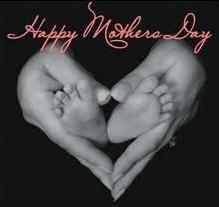 Let me take this opportunity to wish my beloved wife, Tereza, the mother of my only children, a very Happy Mother’s Day 2012 ! Tereza, thank you for creating our little dynasty by having my twin sons !!! Tags: Genealogy, Jason Sudeikis, Lisa Kudrow, Lithuania, WDYTYA, Who Do You Think You Are? You must forgive Stanczyk, dear reader, as life has called me away from my writing and research of late. But in the snatches of time I have been able to wrest away from my responsibilities I have been researching one of the more interesting branches in my family tree, the Kędzierski line (aka Kendzierski along with many Americanized spellings, that I will not enumerate). You may wish to study this timeline image I have included in today’s article. If you click on it, it will take you a page produced from a spreadsheet with the data more easily digestible. For Americans, our most interesting ancestors are the intrepid ones who managed to find their way from the old country to our shiny shores to join the milieu we call these United States of America. What makes this affiliated family (from the Elijasz/Eliasz branch point of view) so interesting is their old world artifacts that help to tell the story of the days in Poland. Their story is filled with a Russian Passport, Polish Church Marriage Record (in Russian/Cyrillic) from 1902, a Certificate of Completion from a Count’s Mill, some Forms from Haller’s Army Enlistment as well as Ship Manifests or Naturalization Certificates. Now most of my family reside in one ancestral village for long periods of time (after WWI that changes). 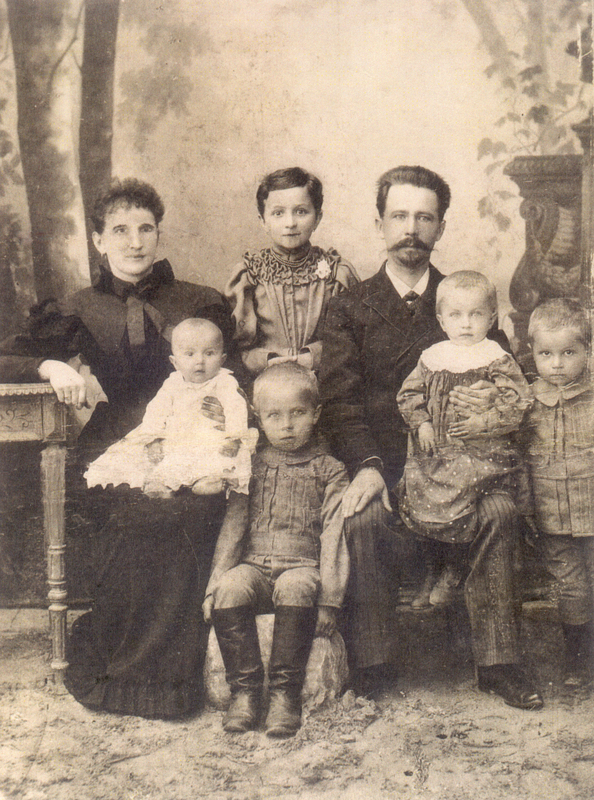 This Kedzierski family (see late 19th century photo at the bottom) seems to have had some mobility, because they are not found in just one place. Indeed, without these many artifacts, I should not expect to be able to find their records anywhere at all. I usually use the timeline tool to help me establish where/when to look for USA documents. Today in Poland, two weeks later in the USA (at some port, often Ellis Island), then on to some alluring American city for a few generations. But this time, I needed the timeline to place where in Poland to look for documents for this rather mobile family. Actually the proper context would be Polish Places in the Russian-Poland partition of the Russian Empire. The earliest location seems to be Kroczyce, the location of Pelagia Kedzierska‘s birth. By the time her younger brother Ludwik comes along, he is born in Stopnica.We find the next Kedzierski child, Wlodzimierz, being born in either Samsonow or Tumlin (multiple documents, multiple birthplaces). For Jan and Tadeusz we have no knowledge yet of their birthplaces. So lets move forward in time. 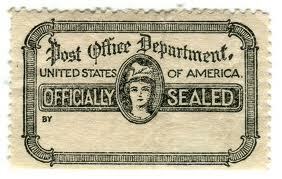 In 1902, the 15th of September 1902 to be precise, we find our first document of the Kedzierski family. Pelagia Kedzierska marries my grand-uncle Jan Elijasz in Pacanow parish (both newlyweds live in Pacanow village). But wait a second, Pelagia’s part of the marriage record indicates she was born in Kroczyce and raised in Pacanow. It was from this document that we first learn the parent’s names. In 1906, we find some very interesting documents for Lucyan (aka Ludwik, aka Louis) Kedzierski. The Certificate of Completion, says that Lucyan was employed in Count Renard’s Mill in Dębowa Góra near Sosnowiec from March 19th, 1906 until October 29th, 1906. It appears this completion, qualifies him for a passport. We find Lucyan with a Russian Passport, stamped 6th October, 1906 (just before completion) followed by a ship manifest arrival in Ellis Island, 16th November, 1906! That’s a pretty tight timeline — the 19th century moved swiftly. 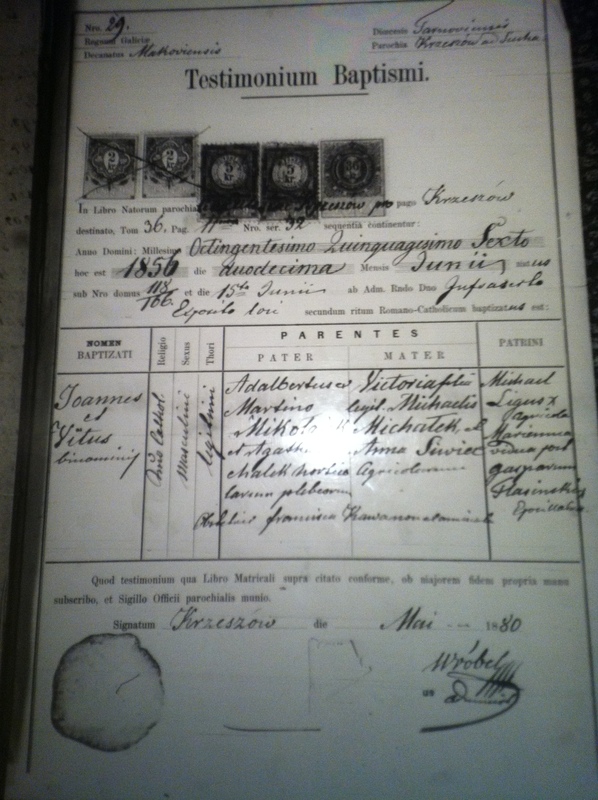 Lucyan’s Ship Manifest indicates that he came from Ninska/Nioska/Niwska none of which could be found on a map and that he was born in Stopnica (mispelled on ship manifest, but spelled correctly on his Naturalization Certificate) and he was going on to Schenectady, NY (although he ended up in Syracuse, NY from which we have most of the rest of his documentation). Next we move on to 1914. This was actually the first document found many years ago. On a 7th March 1914 NYC (Ellis Island) ship manifest (aboard the Graf Waldersee) from Hamburg (departed 18th February), I found a Jan ELIASZ from his wife Pelagia in Pacanow going to Buffalo (to a friend??? Andrzej Widamski –no record of this friend). At first I was not even sure that this was MY Jan Eliasz (who knew there were so many Jan Eliasz). In my novice years I either ignored or the images were so poor, I did not notice a manifest marking (originally in pencil) with a line between Jan Eliasz and the man above, Wlodzimierz Kedzierski. On the line’s arc was written “br-i-l”, an abbreviation for their relationship being brothers-in-law. So Pelagia was Wlodzimierz’s sister (aaah, a maiden name). Wlodzimierz indicates he is coming from Bobrek (north of Oswiecim) and that he was born in Tumlin. Moving forward to 1917, we have Lucyan’s WWI Draft Registration and also his Naturalization Certificate. These are good for confirming other facts that link this family together. Finally, in 1917 & in 1918 we find Wlodzimierz’s enlistment in Haller’s Army (Jozef Haller) papers. Now Wlodzimierz is the only person I have seen that enlisted twice (once in Detroit in 1917 and a second time in Pittsburgh in 1918). This was very fortuitous! Wlodzimierz Kedzierski is unique in the USA. He is the only Wlodzimierz Kedzierski ever in the USA. Ok you may be skeptical, but he uses the same birthdate on both forms and he lists his brother Lucyan in Syracuse, NY on both forms as his closet US contact. On one form he lists his wife as his closest contact in Poland and the other he lists his sister Pelagia as his closest contact (both are in Pacanow in 1917/1918). On his 1918 Pittsburgh form, he lists his parents (Kazimiera & Julian) to be notified of his recruitment and they are living in Pacanow in May 1918. So as a result of Wlodzimierz’s double attempt we have a fairly complete picture of the family. Now add in another genealogist supplying pictures of Jan (who became Jean in Montreal) and Theodore who we had a picture with an inscription on the back to his “brother Ludwik” from Louis Kendzierski’s personal effects. So now we arrive at the promised family photo recently supplied by a distant cousin and then given to me. Enjoy! Cinco de Mayo, Napoleon, & Coffee ??? If it is one thing this blog stands for, its coffee. No coffee … No blog! 2. Napoleon’s Army – His effusive praise for Polish soldiery and of course for Napoleon himself being a royal pain to the partitioning powers of Poland. Today, I must add a third reason in praise of Napoleon. The Emperor was a coffee aficionado! He is reputed to be a very BIG coffee drinker (ten, twenty, thirty or more cups a day ???). Once again he had effusive praise … for St Helena Coffee! What you may not know was that while he was exiled to St Helena (in the South Atlantic off the coast of Africa) which was largely run by Britain’s East India Company [should not the Emperor have developed a taste for tea?] he lauded the island coffee. 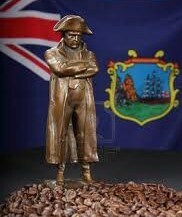 After Napoleon died on 5th-May-1821, his praise of the island’s coffee, caused it to become popular amongst the French. So as you sip your favorite Cinco de Mayo beverage today, be it a margarita or a Kentucky mint julep, this jester will be sipping some St Helena Coffee in honor of the Emperor. After all, his heir and nephew, Napoleon III (Louis-Napoleon Bonaparte) and I have a birthday in common — perhaps that is a fourth reason to be a fan. 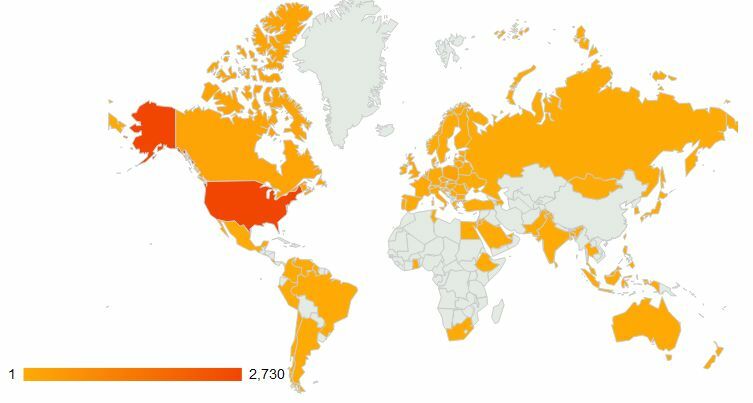 The map you see is this blog’s reach since some time in February. My hope with this blog is to reach Greenland and China (中国). My first cousin Stephen E. Eliasz (whom we always called “Butchy”) was stationed in Greenland. I remember my father’s comments about the pictures of his from Greenland — which from my dad’s comments I pictured as icy. True, enough the Thule Air Base is the US base closest to the North Pole. I hope there is another Polish genealogist in Greenland who searches/finds this blog. I am trying to fill in the above map with as many genealogists from all over the globe. My only connection to China – who are avid genealogists is my fascination with GEDCOM and family trees. I used to think that if you were related to Genghis Khan (born circa 1162) then you would have the largest family tree, because he had a vast empire and many wives. However, time works its wonder in many ways. The people with the largest family trees are those related to Confucius (551-479 BC, the religous/philosopher founder). Confucius family tree, last updated in 1930. Back then, the tree already had 560,000 members Today, it has more than 2 million. The longest lines in the tree span 83 generations. Tamura’s article was written just before the last time the Confucius Genealogy published in September 24, 2009 (as a pre-announcement). That 2009 publishing was the first time, the Confucius Genealogy included female descendants. So I guess the extra 1,700 years of Confucius ( 孔子) trumps the extra wives that Genghis Khan had. That is my only connection to Chinese Genealogy (家谱). Does anyone have more than 83 generations (with citations documenting your lineage)? Stanczyk’s prior article on Genealogy Indexer – the Logan Kleinwaks’ website that indexes historical city directories or other historical lists (i.e. Yizkor Books, Military Muster Lists, etc.) covered this amazing genealogical resource who deserves a much higher rating than #116 on the current Top 125 Genealogical Websites. Since my first blog article about GenealogyIndexer.org , Logan Kleinwaks has added virtual keyboard (a software icon) for generating diacritical letters (think ogroneks and umlauts) as well as non Latin characters (think Hebrew or Cyrillic) to make searching easier. This jester even uses that excellent piece of coding to generate the text for articles or data entry into genealogy software. You may remember, I wrote about that in “Dying for Diacriticals” or any of the other dozen articles (some of which cover GenealogyIndexer). Well in the last month Logan has really outdone himself in adding material to the website! I give up trying to keep up with the huge amounts of data he is publishing. You really need to follow Logan on twitter (@gindexer). Thank You Logan for your amazing efforts. Tomorrow is May 3rd and in Poland and Lithuanian it is celebrated as Constitution Day (first celebrated jointly on May 3rd 2007). But Stanczyk is getting ahead of himself in this story. 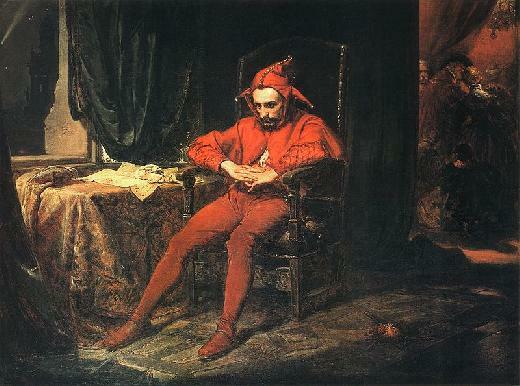 This jester trusts by now that you know that Poland was country with the second constitution. I am also hopeful that you had read a prior blog article of mine: “Poland 1794, The Tempest, and Catherine The Great” . For the discussion on Poland’s Constitution, I’d like to try my hand at an even broader context. Now let me narrate the rest of the story, before I give Constitution Day’s Timeline. In 1750 Poniatowski met his mentor, the Briton, Charles Hanbury Williams . Williams was the British ambassador to Russia. They met again in 1753. Now while the Poniatowskich were a noble family, their family fortunes were not so great as the great magnate families. So they had to align themselves and hope for a strategic marriage for Stanislaw to a wealthier family. None the less, Stanislaw’s father was able to procure him some nominal titles. In 1755, the elder Poniatowski got his son Stanislaw, the title of Stolnik of Lithuania. Stolnik was a court office in Poland and Russia, responsible for serving the royal table. Keep that image in mind. So armed with his new title of Stolnik of Lithuania, Stanislaw accompanied the British Ambassador to Russia, where the young Poniatowski met the also young (but very formidable) Catherine who had not yet become Empress of Russia (nor yet earned, her appellation, “The Great”). Stanislaw Poniatowski was only at the Russian court for one year. By 1756 Poniatowski was ordered to leave the Russian Court amidst some “intrigue”. It is thought that this intrigue resulted in the birth of Anna Petrovna (by Catherine the Great) on the 9th December 1757. It is also said that Stanislaw always hoped his bedding of Catherine would result in a future marriage for him. This jester thinks that Stanislaw deluded himself to think he had successfully wooed Catherine and that marriage was possible for the two of them. This jester also further thinks that Catherine, used this virtual “apron string” to manage Poniatowski to do her Russian bidding in Poland. In 1762 Catherine used her new position as the Russian Empress and she was able to get Stanislaw to be elected King of Poland on 6 September 1764. It has now been 32 years of managing Poland’s status quo by the Three Black Eagles. So by 17 February 1772 the Three Black Eagles agreed to partition Poland. On August 5th, 1772 the occupation manifesto was issued and foreign troops entered Poland’s sovereign territory and forced a cession Sejm to convene with King Poniatowski and agree to the partition manifesto (probably Stanislaw thought it was best to go along with Russia in this matter and that this obedience would be rewarded) on 9/18/1773. Not much leadership in this jester’s mind was exhibited, but opposition to three Empires was probably futile anyway. Life goes on for another decade. Stanislaw uses what little wealth of the Kingdom to foster arts & science, but with Prussia’s control of the Baltic Ports, and using its control to extort high custom duties from Poland on 80% of Poland’s economic trades to further collapse Poland’s economy and that limits Poniatowski’s wealth/power. Poniatowski also continues his hope for a noble marriage, but he does engage in a morganatic marriage to Elzbieta Szydlowska in 1783 and thereby maintains his options for a royal marriage. In 1788 the Four Year Sejm convenes and Stanislaw thinks he can help Catherine The Great in her war with the Ottoman Empire by raising an army in Poland — which Catherine quickly squashes, but leaves the Polish Sejm alone while she wars with the Ottomans. Left to their own devices, this “Enlightened” body of lawmakers passes a constitution on 3rd May 1791. Even King Poniatowski celebrates this event. If you have read my prior blog article listed above, then you know this will NOT end well for Poland (or Poniatowski who is forced to abdicate the Polish throne 11/25/1795). I think you can see that Poniatowski, Stolnik of Lithuania, served up Poland as a feast for Catherine The Great to enjoy repeatedly until even she was forced to make him abdicate and spend the remainder of his three years of life as a nominal prisoner in St Petersburg, Russia (so he could not meddle further in Russian affairs). Poniatowski died 2/12/1798 in St Petersburg, Russia. Poniatowski’s remains were removed and re-buried in Wolczyn, Belarus — until that church fell into disrepair. Poland reclaimed Poniatowki’s remains and he was buried a third time (14 February 1995) in St. John’s Cathedral in Warsaw, Poland — the very site where he had celebrated the Polish Constitution on May 3rd 1791. 5/3/1791 – Constitution is Passed (2nd in the world). May 1792 Constitution Day is celebrated. July 1792 King Poniatowski joins the Targowice Confederation against Poland and his own nephew (and Kosciuszko too) who were fighting the War To Defend The Constitution with Russia and Catherine the Great who was now freed up from warring with the Ottomans and now able to show her displeasure. 1793-1806 – Constitution Day is banned during the the 2nd/3rd Partition years. 1807-1815 – Constitution Day is celebrated in the Duchy of Warsaw thanks to Napoleon. April 1919 – The re-emerged Polish Republic celebrates Constitution Day again until 1940. World War II – Constitution Day is banned again. 1945 – Constitution Day is celebrated. 1946 – The Communists cancel Constitution Day. They substitue May Day (May 1st) as an attempt to replace the Constitution Day celebration. April 1990 – Poland out from under the Communist yoke celebrates Constitution Day again. May 3rd 2007 – Poland & Lithuania celebrate Constitution Day jointly echoing their former Commonwealth days. This is the first jointly celebrated Constitution Day. Perhaps one day, the USA will celebrate with Poland on May 3rd as the two countries with the oldest constitutions. [Now, please I know Polonia all over the USA, but most notably in Chicago mark May 3rd annually.] Indeed you are reading this blog about May 3rd. So Polonia still mark the day, the old country adopted the second oldest constitution.